As Israel again ratchets up its threats to bomb Iranian nuclear facilities, anti-Iran propaganda, which could rally the American people behind another Middle East war, becomes critical. At this key moment, Gareth Porter takes a deeper look at an alleged Iranian assassination plot. At a press conference on Oct. 11, the Obama administration unveiled a spectacular charge against the government of Iran: The Qods Force of the Islamic Revolutionary Guard Corps had plotted to assassinate the Saudi ambassador to the United States, Adel al-Jubeir, right in Washington, DC, in a place where large numbers of innocent bystanders could have been killed. High-level officials of the Qods Force were said to be involved, the only question being how far up in the Iranian government the complicity went. The U.S. tale of the Iranian plot was greeted with unusual skepticism on the part of Iran specialists and independent policy analysts, and even elements of the mainstream media. The critics observed that the alleged assassination scheme was not in Iran’s interest, and that it bore scant resemblance to past operations attributed to the foreign special operations branch of Iranian intelligence. The Qods Force, it was widely believed, would not send a person like Iranian-American used-car dealer Manssor Arbabsiar, known to friends in Corpus Christi, Texas, as forgetful and disorganized, to hire the hit squad for such a sensitive covert action. It was all there, the officials insisted: several meetings between Arbabsiar and a man he thought was a member of a leading Mexican drug cartel, Los Zetas, with a reputation for cold-blooded killing; secretly recorded, incriminating statements by Arbabsiar and Shakuri, his alleged handler in Tehran; and finally, Arbabsiar’s confession after his arrest, which clearly implicates Qods Force agents in a plan to murder a foreign diplomat on U.S. soil. A close analysis of the FBI deposition reveals, however, that independent evidence for the charge that Arbabsiar was sent by the Qods Force on a mission to arrange for the assassination of Jubeir is lacking. The FBI account is full of holes and contradictions, moreover. The document gives good reason to doubt that Arbabsiar and his confederates in Iran had the intention of assassinating Jubeir, and to believe instead that the FBI hatched the plot as part of a sting operation. The FBI account suggests that, from the inaugural meetings between Arbabsiar and his supposed Los Zetas contact, a Drug Enforcement Agency informant, Arbabsiar was advocating a terrorist strike against the Saudi embassy. But the allegations that the Iranian-American used-car salesman wanted to “attack” the Saudi embassy and other targets rest entirely upon the testimony of the DEA informant with whom he was meeting. The informant is a drug dealer who had been indicted for a narcotics violation in a U.S. state but had the charges dropped “in exchange for cooperation in various drug investigations,” according to the FBI account. The informant is not an independent source of information, but someone paid to help pursue FBI objectives. The most suspicious aspect of the administration’s case, in fact, is the complete absence of any direct quote from Arbabsiar suggesting interest in, much less advocacy of, assassinating the Saudi ambassador or carrying out other attacks in a series of meetings with the DEA informant between June 23 and July 14. The deposition does not even indicate how many times the two actually met during those three weeks, suggesting that the number was substantial, and that the lack of primary evidence from those meetings is a sensitive issue. And although the FBI account specifies that the July 14 and 17 meetings were recorded “at the direction of law enforcement agents,” it is carefully ambiguous about whether or not the earlier meetings were recorded. The lack of quotations is a crucial problem for the official case for a simple reason: If Arbabsiar had said anything even hinting in the May 24 meeting or in a subsequent meeting at the desire to mount a terrorist attack, it would have triggered the immediate involvement of the FBI’s National Security Branch and its counter-terrorism division. The FBI would then have instructed the DEA informant to record all of the meetings with Arbabsiar, as is standard practice in such cases, according to a former FBI official interviewed for this article. And that would mean that those meetings were indeed recorded. The fact that the FBI account does not include a single quotation from Arbabsiar in the June 23-July 14 meetings means either that Arbabsiar did not say anything that raised such alarms at the FBI or that he was saying something sufficiently different from what is now claimed that the administration chooses not to quote from it. In either case, the lack of such quotes further suggests that it was not Arbabsiar, but the DEA informant, acting as part of an FBI sting operation, who pushed the idea of assassinating Jubeir. A possible explanation is that Arbabsiar was suggesting surveillance of targets that could be hit if Iran were to be attacked by Israel with Saudi connivance. The July 14 meeting between Arbabsiar and the DEA informant is the first from which the criminal complaint offers actual quotations from the secretly recorded conversation. The FBI’s retelling supplies selected bits of conversation — mostly from the informant — aimed at portraying the meeting as revolving around the assassination plot. But when carefully studied, the account reveals a different story. There is no quoted response from the car dealer. Instead, the FBI narrative simply asserts that Arbabsiar “confirmed that he just wanted the ‘ambassador.’” At the end of the meeting, the informant declares, “We’re gonna start doing the guy.” But again, no response from Arbabsiar is quoted. The FBI agent who signed the deposition explains, “I understand this to mean that he would need to use four men to assassinate the Ambassador and that the cost to Arbabsiar of the assassination would be $1.5 million.” But, apart from the agent’s surmise, there is no hint that either cited phrase referred to a proposal to assassinate the ambassador. Given that there had already been discussion of multiple Saudi targets, as well as those of an unnamed third country (probably Israel), it seems more reasonable to interpret the words “the Saudi Arabia” to refer to a set of missions relating to Saudi Arabia in order to distinguish them from the other target list. Then the informant repeats the same wording, telling Arbabsiar he would “go ahead and work on the Saudi Arabia, get all the information that we can.” This language does not show that Arbabsiar proposed the killing of Jubeir, much less approved it. And the FBI narrative states that the Iranian-American “agreed that the assassination of the Ambassador should be handled first.” Again, that curious wording does not assert that Arbabsiar said an assassination should be carried out first, but suggests he was agreeing that the subject should be discussed first. The absence of any quote from Arbabsiar about an assassination plot, combined with the multiple ambiguities surrounding the statements attributed to the DEA informant, suggest that the main subject of the July 14 meeting was something broader than an assassination plot, and that it was the government’s own agent who had brought up the subject of assassinating the ambassador in the meeting, rather than Arbabsiar. The government reconstruction of the July 14 meeting also introduces the keystone of the Obama administration’s public case: $100,000 that was to be transferred to a bank account that the DEA informant said he would make known to Arbabsiar. The FBI deposition asserts repeatedly that whenever Arbabsiar or the DEA informant mention the $100,000, they are talking about a “down payment” on the assassination. But the document contains no statement from either of them linking that $100,000 to any assassination plan. In fact, it provides details suggesting that the $100,000 could not have been linked to such a plan. The FBI deposition states that the informant and Arbabsiar “discussed how Arbabsiar would pay [the informant],” but offers no statement from either individual even mentioning a “payment,” or any reason for transferring the money to a bank account. Furthermore, it does not actually claim that Arbabsiar made any commitment to any action against Jubeir at either the July 14 or 17 meetings. And when the informant is quoted in the July 17 meeting as saying, “I don’t know exactly what your cousin wants me to do,” it appears to be an acknowledgement that he had gotten no indication prior to July 17 that Arbabsiar’s Tehran interlocutors wanted the Saudi ambassador dead. The deposition does not even claim that Arbabsiar’s supposed handlers had approved a plan to kill Jubeir until after the Iranian-American returned to his native country on July 20. Nevertheless, Arbabsiar is quoted telling the informant on July 14 that the full $100,000 had already been collected in cash at the home of “a certain individual.” Preparations for the transfer of the $100,000 had thus commenced well before the assassination plot allegedly got the green light. The amount of $100,000 does not even appear credible as a “down payment” on a job that the FBI account says was to have cost a total of $1.5 million. It would represent a mere 6 percent of the full price. But the deposition notes “further conversation” following that invitation for a clear position on a proposal coming from the informant, indicating that what Arbabsiar was saying did not support the administration’s allegation that assassination plot was coming from Tehran. The informant then presents a fanciful plan to bomb an imaginary restaurant in Washington where Arbabsiar was told the Saudi ambassador liked to dine twice a week and where many “like, American people” would be present. These statements appear at first blush to be conclusive evidence that Arbabsiar and his Iranian overseers were contracting for the assassination of Jubeir, regardless of lives lost. But there are two crucial questions that the FBI account leaves unanswered: Was Arbabsiar speaking on behalf of the Qods Force or some element of it? And if he was, was he talking about a plan that was to go into effect as soon as possible or was it understood that they were talking about a contingency plan that would only be carried out under specific circumstances? The deposition includes several instances of Arbabsiar’s bragging about a cousin who is a general, out of uniform and involved in covert external operations, including in Iraq — clearly implying that he belongs to the Qods Force. Arbabsiar is said to have claimed that the cousin and another Iranian official gave him funds for his contacts with the drug cartel. “I got the money coming,” he says. The FBI narrative identifies the person referred to here as Arbabsiar’s cousin, a Qods Force officer later named as Abdul Reza Shahlai, but again, there is not a single direct quotation backing the claim. And the reference to “these people” who “pay this government” suggests that “he” is connected to a group with illicit financial ties to government officials. If these reports are accurate, it seems possible that Arbabsiar approached Los Zetas on behalf of Iranians who control a portion of the opium being smuggled through Iran from Afghanistan, while seeking to impress the drug cartel operative with his claim to have close ties to the Qods Force through Shahlai. But if the DEA informant then pressed him to authenticate his Qods Force connection, he may have begun discussing covert operations against Iran’s enemies in North America. The only alleged evidence that Arbabsiar was speaking for Shahlai and the Qods Force is Arbabsiar’s own confession, summarized in the criminal complaint. But, at minimum, that testimony was provided after he had been arrested and had a strong interest in telling the FBI what it wanted to hear. The deposition makes much of a series of three phone conversations on Oct. 4, 5 and 7 between Arbabsiar and someone who Arbabsiar tells his FBI handlers is Gholam Shakuri, presenting them as confirmation of the involvement of Qods Force officers in the assassination scheme. After further exchange, the man purported to be “Shakuri” says, “So buy it, buy it.” Despite the obvious invocation of a code word, it remains unclear what Arbabsiar was to “buy.” “Chevrolet” could actually have been a reference to a drug-related deal, or a generic plan having to do with Saudi and other targets, or something else. In a third recorded conversation on Oct. 7, both Arbabsiar and “Shakuri” refer to a demand by a purported cartel figure for another $50,000 on top of the original $100,000 transferred by wire earlier. But there is no other evidence of such a demand. It appears to be a mere device of the FBI to get “Shakuri” on record as talking about the $100,000. And here it should be recalled that the account in the deposition shows that the transfer of the $100,000 had been agreed on before any indication of agreement on a plan to kill the ambassador. The invocation of a fictional demand for $50,000, along with the dramatic difference between the first conversation and the second and third conversations, suggests yet another possibility: The second and third conversations were set up in advance by Arbabsiar to provide a transcript to bolster the administration’s case. Terrorist Plot or Deterrence Strategy? Even if Qods Forces officials indeed directed Arbabsiar to contact the Los Zetas cartel, it cannot be assumed that they intended to carry out one or more terrorist attacks in the United States. The killing of a foreign ambassador in Washington (not to speak of additional attacks on Saudi and Israeli buildings), if linked to Iran, would invite swift and massive U.S. military retaliation. If, on the other hand, the Qods Force men instructed Arbabsiar to conduct surveillance of those targets and prepare contingency plans for hitting them if Iran were attacked, the whole story begins to make more sense. Although the consensus among U.S. intelligence analysts was that Iran was preparing for a terrorist attack, Ronald Neumann, then the State Department’s intelligence officer for Iran and Iraq, noted that Iran had done the same thing whenever U.S.-Iranian tensions had risen. Unfortunately for Iran’s deterrent strategy, however, Osama bin Laden’s al-Qaeda was also carrying out surveillance of U.S. bases in Saudi Arabia, and in November 1995 and again in June 1996, that group bombed two facilities housing U.S. servicemen. Hani al-Sayigh, one of the Saudi Arabian Shi‘a accused by the Saudi and U.S. governments of conspiring to attack the Khobar Towers, admitted to Assistant Attorney General Eric Dubelier, who interviewed him at a Canadian detention facility in May 1997, that he had participated in the surveillance of U.S. military targets in Saudi Arabia on behalf of Iranian intelligence. If Arbabsiar spoke of such a campaign in his initial meeting with the DEA informant, he certainly would have piqued the interest of FBI counter-terrorism personnel. 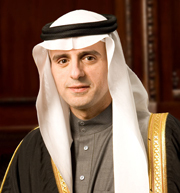 And this scenario would also explain why the series of meetings in late June and the first half of July did not produce a single statement by Arbabsiar that the administration could quote to advance its case that the Iranian-American was interested in assassinating Adel al-Jubeir or carrying out other acts of terrorism. A plan to conduct surveillance and be ready to act on contingency plans would also explain why someone as lacking in relevant experience and skills as Arbabsiar might have been acceptable to the Qods Force. Not only would the mission not have required absolute secrecy; it would have been based on the assumption that the surveillance would become known to U.S. intelligence relatively quickly, as did the monitoring of U.S. targets in Saudi Arabia in 1994-1995. When Did Arbabsiar Join the Sting? The Obama administration’s account of the alleged Iranian plot has Arbabsiar suddenly changing from terrorist conspirator to active collaborator with the FBI upon his Sept. 29 arrest at John F. Kennedy Airport in New York. He is said to have provided a confession immediately upon being apprehended, after waiving his right to a lawyer, and then to have waived that right repeatedly again while being interviewed by the FBI. Then Arbabsiar cooperated in making the series of secretly recorded phone calls to someone he identified as Shakuri. For someone facing such serious charges to provide the details with which to make the case against him, while renouncing benefit of counsel, is odd, to say the least. The official story raises questions not only about what agreement was reached between Arbabsiar and the FBI to ensure his cooperation but about when that agreement was reached. One clue that Arbabsiar was brought into the sting operation well before his arrest is the DEA informant’s demand in a Sept. 20 phone conversation with Arbabsiar in Tehran that he either come up with half the $1.5 million total fee or come to Mexico to be the guarantee that the full amount would be paid. Yet the FBI account of that conversation shows Arbabsiar telling the informant, without even consulting with his contacts in Tehran, “I’m gonna go over there [in] two [or] three days.” Later in the same evening, he calls back to ask how long he would need to remain in Mexico. Even if Arbabsiar were as feckless as some reports have suggested, he would certainly not have agreed so readily to put his fate in the hands of the murderous Los Zetas cartel — unless he knew that he was not really in danger, because the U.S. government would intercept him and bring him to the United States. Making the episode even stranger, Arbabsiar’s confession claims that when he told Shakuri about the purported Los Zetas demand, Shakuri refused to provide any more money to the cartel, advised him against going to Mexico and warned him that if he did so, he would be on his own. Further supporting the conclusion that Arbabsiar had become part of the sting operation before his arrest is the fact there was no reason for the FBI to pose the demand — through the DEA informant for more money or Arbabsiar’s presence in Mexico except to provide an excuse to get him out of Iran, so he could provide a full confession implicating the Qods Force and be the centerpiece of the case against Iran. The larger aim of the FBI sting operation, which ABC News has reported was dubbed Operation Red Coalition, was clearly to link the alleged assassination plot to Qods Force officers. The logical moment for the FBI to have recruited the Iranian-American would have been right after the FBI recorded him talking about wiring money to the bank account and casually approving the idea of bombing a restaurant and before his planned departure from Mexico for Iran. The only way to ensure that Arbabsiar would come back, of course, would be to offer him a substantial amount of money to serve as an informant for the FBI during his stay in Iran, which he would receive only upon returning. If Arbabsiar had already been enlisted, of course, it would also mean the keystone of the case — the wiring of $100,000 to a secret FBI bank account — was a part of the FBI sting. FBI deceit in constructing a case for an Iranian terror plot should come as no surprise, given its record of domestic terrorism prosecutions based on sting operations involving entrapment and skullduggery. Perhaps the most notorious of all these domestic terrorism sting operations is the case in which Yassin Aref and Mohammed Hossain, leaders of their Albany, New York, mosque, were sentenced to 15 years in federal prison for allegedly laundering profits from the sale of a shoulder-launched missile for a Pakistani militant group that was planning to assassinate a Pakistani diplomat in New York City. In fact, there was no such terrorist plot, and the alleged crime was the result of an elaborate FBI scam directed against two innocent men. It began when an FBI informant pretending to be a Pakistani businessman insinuated himself into Hossain’s life and extended him a $50,000 loan for his pizza parlor. Only months after the informant had begun loaning the money did he show Hossain a shoulder-launched missile, and suggest that he was also selling arms to his “Muslim brothers.” It was a devious form of entrapment; the prosecutors later argued that Hossain should have known the loan could have come from money made in the sale of weapons to terrorists and was therefore guilty of money laundering. The FBI approach to entrapping Hossain’s friend Aref was even more underhanded. Aref was never even made aware of the missile or the phony story of the illegal arms sale. But on one occasion, when he was present to witness the transfer of loan money, what was later said to have been the missile’s trigger system was left on a table in the room. This history makes it clear that the Justice Department and FBI are prepared to go to extraordinary lengths to fabricate terrorism cases against targeted individuals, and that misrepresenting these individuals’ intentions and actual behavior has long been standard practice. The trickery and deceit in past “counter-terrorism” sting operations provides further reason to question the veracity of the Obama administration’s allegations in the bizarre case of Manssor Arbabsiar. See New York Times, October 12, 2011 and Reuters, October 12, 2011. See New York Times, October 12, 2011 and Bloomberg, October 12, 2011. For an official US recognition of Iran’s “assymetric warfare doctrine” as a tool of deterrence of “any would-be invader,” see Department of Defense, Unclassified Report on Military Power of Iran, April 2010, p. 1. See Los Angeles Times, October 15, 1997 and Steve Coll, Ghost Wars (New York: Penguin Books, 2004), p. 276. Gareth Porter, “US Officials Leaked a False Story Blaming Iran,” Inter Press Service, June 24, 2009. Gareth Porter, “FBI Ignored Compelling Evidence of Bin Laden Role,” Inter Press Service, June 25, 2009. Gareth Porter, “US May Have Concealed Deterrent Aim of Iranian Plan,” Inter Press Service, October 21, 2011. New York Times, October 24, 2011. Center for Human Rights and Global Justice, Targeted and Entrapped: Manufacturing the “Homegrown Threat” in the United States (New York, 2011), p. 14. This account of the case is drawn from Petra Bartosiewicz, “To Catch a Terrorist,” Harper’s (August 2011). Targeted and Entrapped, pp. 50-52, fn 17. What baffles me is how any money was transferred through the banking system. Everyone knows that due to the current regulations, no US bank is allowed to send or receive money from any Iranian bank. In fact most European banks also fall under the UN sanctions banning transfer of money to or from Iran.